The Titans physical play dominated the Jacksonville Jaguars Monday night, as the team used their brute force to overwhelm the Jags 30-3 to move to 4-2 on the year. The team lost QB Vince Young in the first quarter with a sprained knee, but it didn’t matter as Kerry Collins did more than enough and the Titans D crushed the Jags offense, who had just 249 yards on the night. Jacksonville QB David Garrard also left the game with an injury, as he was rocked by Titans LB Will Witherspoon and left with a concussion late in the second quarter and was replaced by Trent Edwards. 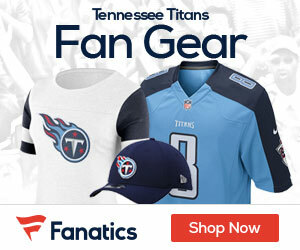 The Titans struck right away, as they came out throwing, and Young led the team on a 6-play, 79-yard drive that concluded with a 23-yard TD pass to Kenny Britt to make it 7-0 early. The Tennessee D was good all night, as Jacksonville was ineffective punting on three of their first six possessions, and those also included two picks and a fumble as well. Collins led the team to their second TD after a pick, as he hit TE Bo Scaife for a two-yard TD to give the Titans a 14-0 lead in the second quarter. They hit a Rob Bironas 26-yard field goal to make it 17-0 at the half. The teams traded field goals in the third, and in the fourth Bironas hit a 36-yard field goal and then Chris Johnson took over as he rushed for 66 yards on the teams final drive, the final run being a 35-yard TD run to close out the scoring at 30-3. Collins was 11-for-16 for 110 yards with a score, and Johnson had 111 yards on 26 carries. 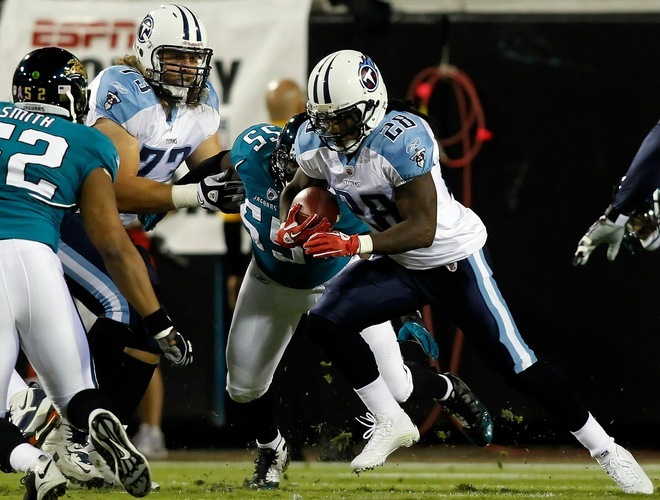 The Titans run game ran over the Jags for 153 yards on 39 carries. The Titans are now tied with the Colts and Texans for the top spot in the AFC South at 4-2, and have won three of their last four after starting 1-2. They will be at home Sunday to take on the Eagles.